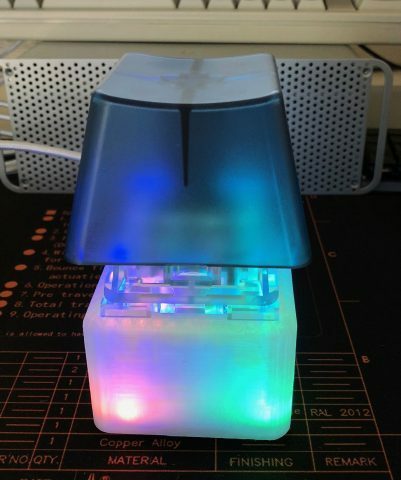 Small case for the NovelKeys Big Switch with a mount for a Teensy 2.0 to control RGB lighting. The case is sized so that it can be printed on a Monoprice Mini Delta. The outer case is designed by me; the Teensy mount and retaining are remixed from GarageSage’s Teensy 2.0 case.